This is a one-year part-time course, offered in 3 modules. The foundation of this course is what it means to be a True Friend, for yourself and the world. Discovering a silent mind and an open heart, you will be supported in waking up out of the trance of egoic identification. 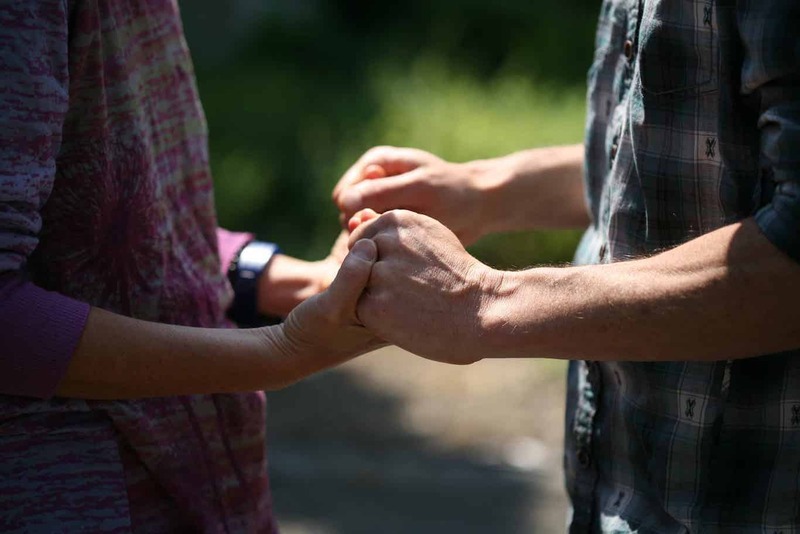 Distilling over thirty years of working with people down to a pure essence of transmission and skillful means, the True Friend Immersion consists of two ten-day retreats, a series of one-on-one mentoring sessions, and an online video course. We have discovered, however, that to fully integrate the skills learned in this True Friend Immersion course, it takes at least two years, so we encourage everyone to be open to attending this course for two consecutive years. Based in non-dual insights and the clinical hypnosis certification program Eli ran for many decades, you will absorb and learn different skills for being an awakened guide in the lives of those around you, whether it is family, friends, or clients. Discovering what it means to be a True Friend for yourself and others, you will experience what this means in a practical way, living in the world in skillful harmony. As part of this immersion course, we will use Eli’s unique insight into what he calls the Enneagram of Character Fixation (very different from the more commonly used Enneagram of Personality). Seeing the fixated structure of ego in ourselves, our relationships, and our clients, will cast the world in a completely new light. Insight into the structure of our own character fixation assists in the discovery of our true character, and the difference between ego and essential self. This knowledge will give you enormous insight into your client’s presenting condition and their true nature. The therapeutic interventions that grow out of marrying the structure of ego and fixation with the techniques of hypnotherapy are unique to this work. Enrolling in the True Friend Immersion, you will receive 10 hours of personal mentoring, with the ability to select from a range of Leela Mentors from around the world. They have the depth and the capacity to support you in both your own deepening and your skill as a True Friend. A 10-day in-person retreat with Eli Jaxon-Bear, the founder of the Leela School, alongside Leela Teachers and Mentors, covering the syllabus in an environment of openness and heart-based learning, experiencing, practicing, and deep support. The in-person retreats are held in Ashland, Oregon, Byron Bay, Australia, and Amsterdam, the Netherlands. An online module. You will watch Eli work with different clients using a variety of hypnotic inductions and clinical interventions. In addition to watching the session, each one will be broken down into workable parts for you to practice at home. In addition, your fee includes 10 hours of private one on one mentor sessions, usually on Skype. A 10-day in-person retreat held in Ashland, Oregon, Byron Bay, Australia, and Amsterdam, the Netherlands, with Eli and Leela School teachers and mentors. The final elements of the syllabus will be covered, with an ultimate aim of preparing you for a private practice. Refresh basics: As-If, Sub-modalities, etc. Please note, as each retreat is unique and individual, not all of the syllabus will be covered in person during the retreats. Would you like to talk with someone? Book a free chat with one of our mentors right now! Free Enneagram Resource and Class Updates Delivered to You. Get a FREE Enneagram resource and exclusive content straight to your email inbox.